When it comes to the design, supply and installation of tactile indicators, stair treads and edging, DTAC Pty Ltd is a world leading innovator and has been the trusted name in the industry for 15 years. The company pioneered the architectural floor tactile industry in Australia, taking a utilitarian product and transforming it into a feature that compliments the aesthetics of any project. One of DTAC’s latest completed projects is the new Library on Glen Street, Sydney. The 2 storey building forms the second stage of the Glen Street Theatre and covers 650m2. The project commenced early 2016 and was completed in mid May 2017. DTAC was specified by Brewster Hjorth Architects to design, supply and install tactile ground surface indicators and stair edging to this project due to their products’ high level of compliance and visual appeal. 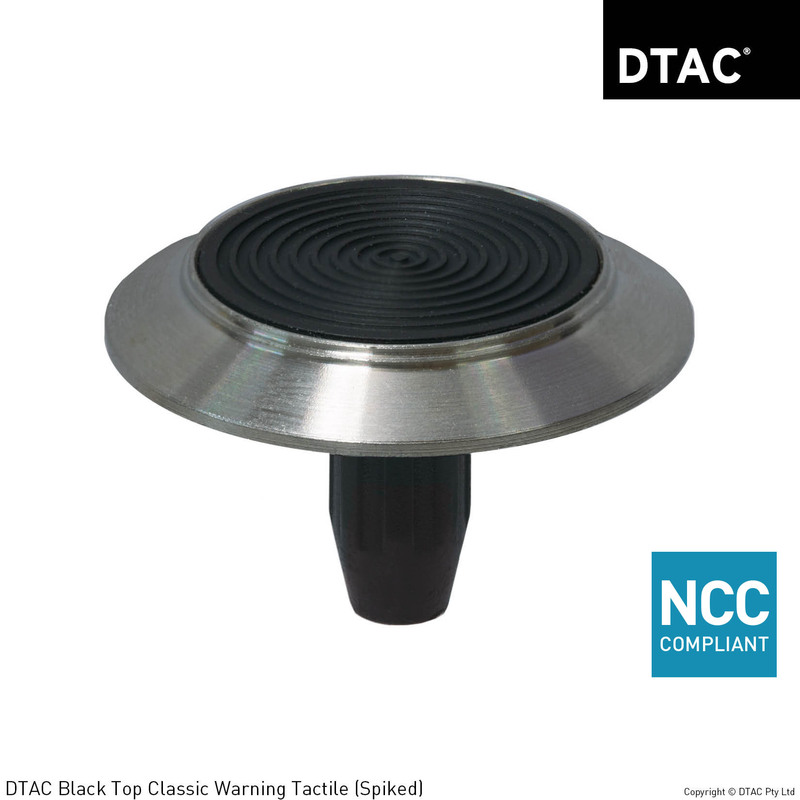 DTAC’s Black Top TGSI is an aesthetically pleasing solution, tested and certified in accordance with the NCC, AS 4586 and AS 1428.4. The product achieves a slip resistance classification of R12 and utilises a superior pressure fit fixing method ensuring performance and longevity. Almost 120 lineal metres of DTAC’s designer Corduroy edging in black anodised were also installed at the site. The popular profile achieves an R12 slip resistance classification and proves to be a cost effective NCC compliant solution, tested to AS 4586 and AS 1428.1. 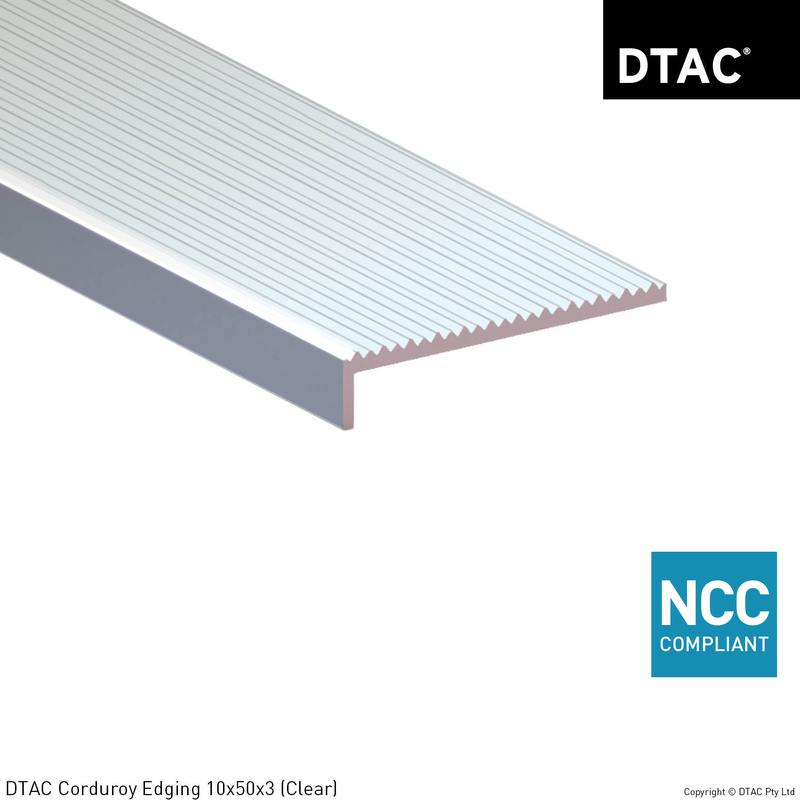 DTAC’s specialist team design their own superior quality products to meet the requirements of Australia’s tactile, stair tread and edging compliance regulations. All products are designed, manufactured and installed in line with the latest Australian NCC standards. The products also conform to the Disability Discrimination Act (DDA) including slip and luminance requirements with test certification data available. DTAC Operations Manager Michael Moulding explains that “as with most projects but particularly those in a public area like the Glen Street Library, compliance and certification is of the upmost importance.” “Our products are tested and certified in accordance with the NCC, AS 4586 and AS 1428.4.” “All our installers go through an 18-step accreditation process before going onsite; therefore our clients can be assured that our DTAC trained contractors have the expertise and knowledge when it comes to the compliance and overall aesthetics of tactile and edging installations.” Michael added. In addition to the Glen Street Library, DTAC’s work can be seen throughout Australia across a number of iconic projects, including but not limited to the RMIT University, Melbourne, the NAB building on Bourke Street, Hawthorn Town Hall and Yarra Valley Water headquarters.